Satinized steel case with sapphire display back. Dial is black with traditional three sub dials and features Arabic numerals. Watch is water resistant to 100 meters. 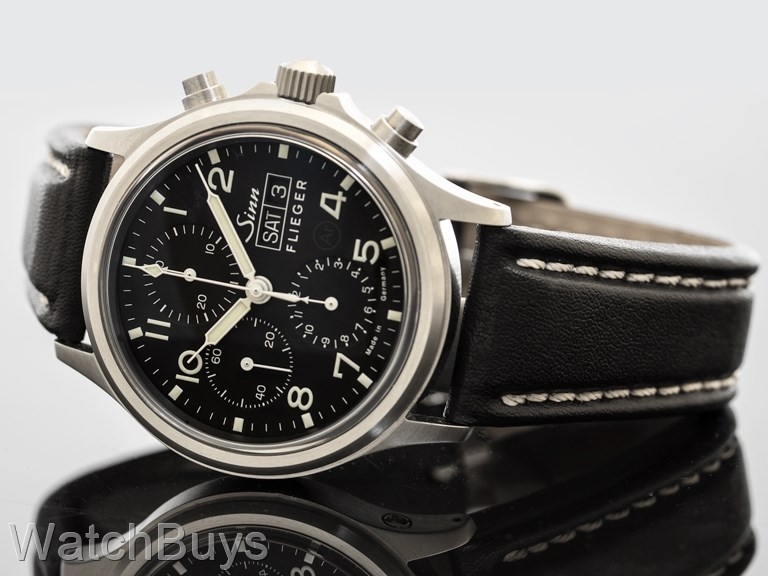 This watch features a black Sinn calf leather strap with tang buckle. Verified Owner Comments: The watch is very nice and has kept great time since I got it. I bought extra different color leather strap which is a breeze to change out for different looks. Excellent. Verified Owner Comments: I am happy with this watch. The large size makes a substantial presence on the wrist. Recommended for anyone looking for a large legible watch. 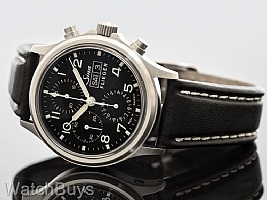 Verified Owner Comments: Great watch, beautiful and clean look. I like the larger format for the Pilot watches. 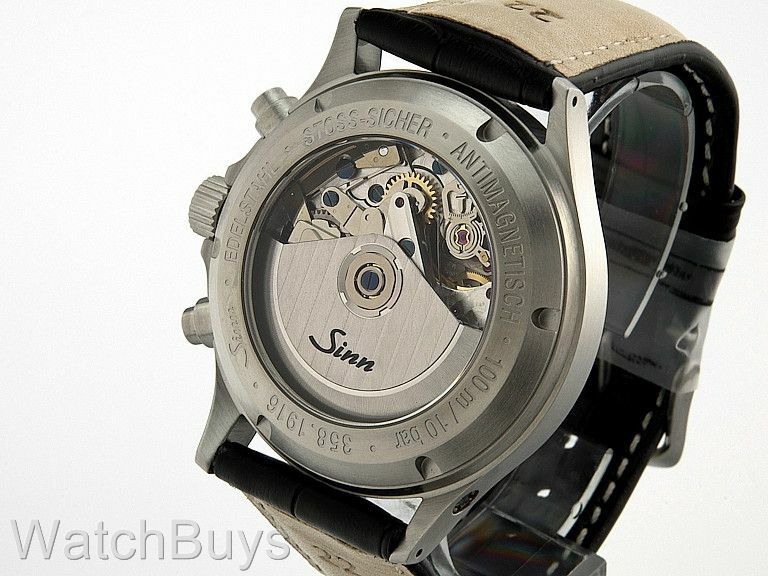 Verified Owner Comments: I chose 358 Sa as my second Sinn. The watch looks much better than any pictures on the internet. It fits business or casual style and became my primary watch.